H.E. Mr. António Guterres, Secretary-General of the United Nations, took office on 1 January 2017. 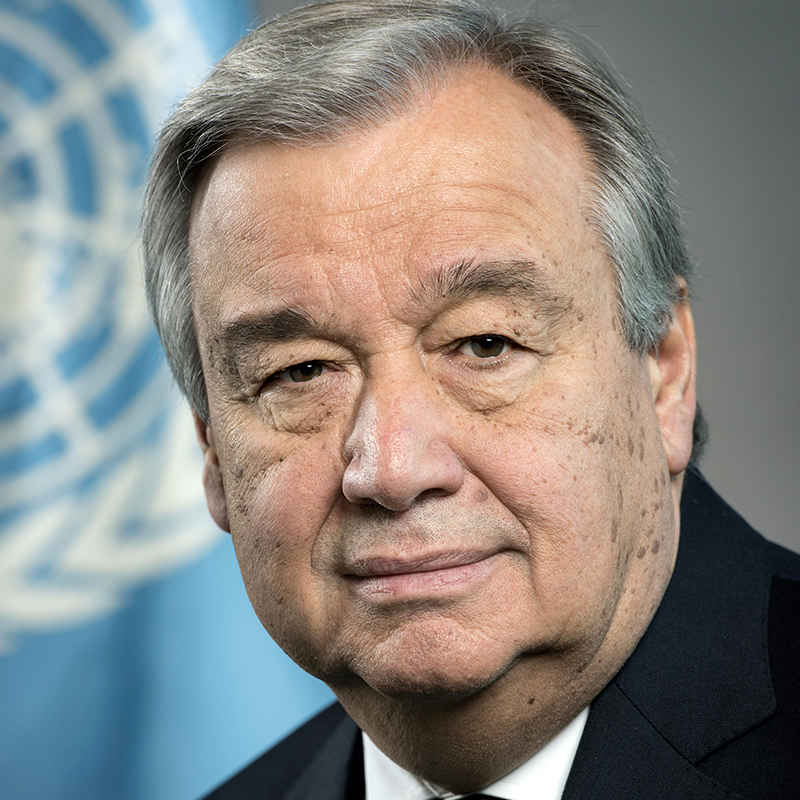 Prior to his appointment as Secretary-General, he served as United Nations High Commissioner for Refugees from June 2005 to December 2015, heading one of the world’s foremost humanitarian organizations during some of the most severe displacement crises in decades. The conflicts in Syria and Iraq, and the crises in South Sudan, the Central African Republic and Yemen, led to a massive rise in UNHCR’s activities. Prior to joining UNHCR, he spent more than 20 years in government and public service. He served as Prime Minister of Portugal from 1995 to 2002, during which time he was heavily involved in the international effort to resolve the crisis in East Timor.